When fashion is your passion every single detail, from pattern making to the actual garment, is important to learn for establishing your own business. 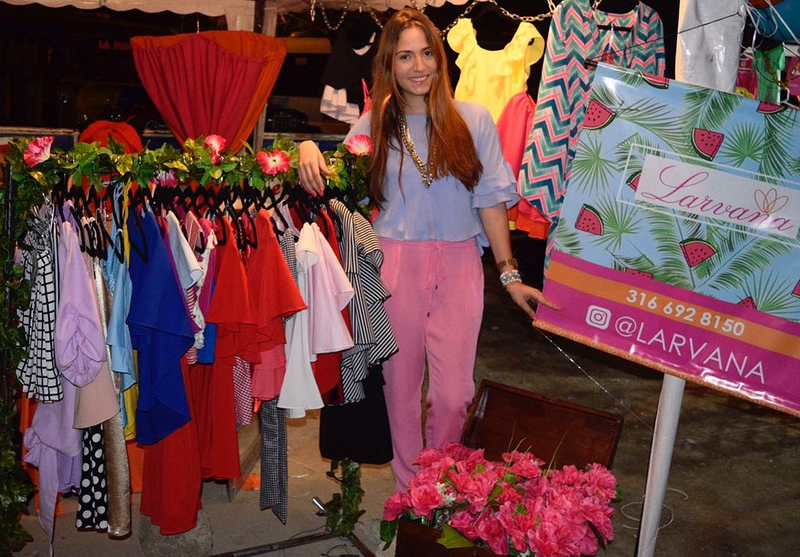 This is what I thought when I was in Colombia and had my online fashion boutique. My business was growing and my costumers were happy with my product but I felt something was missing. I had an excellent seamstress that was in charge of making my designs come true, most of the time they turned exactly how I wanted but even though some of them end up with something different because perhaps she didn’t know how to get to the point I wanted to. That’s why I decided I wanted to learn all about pattern making, so whatever I created came out exactly how I had it pictured in my mind. In 2008 I studied French in Montreal and had an amazing experience, I promised myself I had to go back to Canada one day, so why not this time. I started searching for Fashion schools all over Canada, I knew I wanted a smaller city because of my son. That’s how I came out with Saskatoon, also the agency that was helping us search for the school and with all the visa documents, recommended us this city. I contacted the school through email and had a good response from them. They send me all the information I needed for my enrollment. I started my process with the academy of fashion design, I applied, had a telephone interview and got the letter of acceptance (one of the best days of my life). After all I was going to study what I really wanted. I applied for the Canadian student visa with all my documents and I got it, after 2 or 3 months, so it takes couple months to complete the process. The 22nd of August 2017 our trip started from Bogota, Colombia to Saskatoon, Canada. We flew from Bogota to Houston, Houston – Las Vegas, Las Vegas – Minneapolis and finally Minneapolis – Saskatoon. We arrived at midnight and we had around 9 suitcases, it took us a while to get out of the airport. When we came out Heather, our teacher, was there waiting for us, she helped us with everything, finding an apartment, transportation; she is a real angel. Finally we found an apartment that worked well, in a good location with easy transportation. After all the experience of going through tons of documents, hours of flying and hotel sleeping I can definitely say iit is amazing, I would totally do it all over again without hesitating.